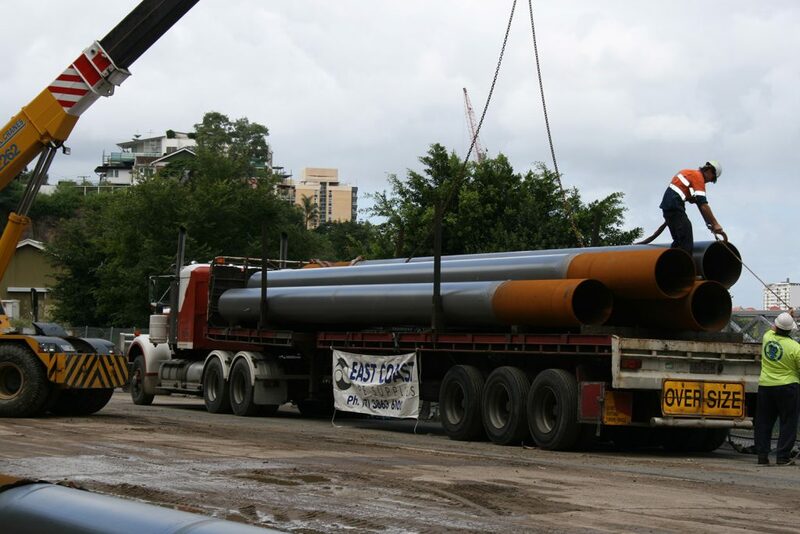 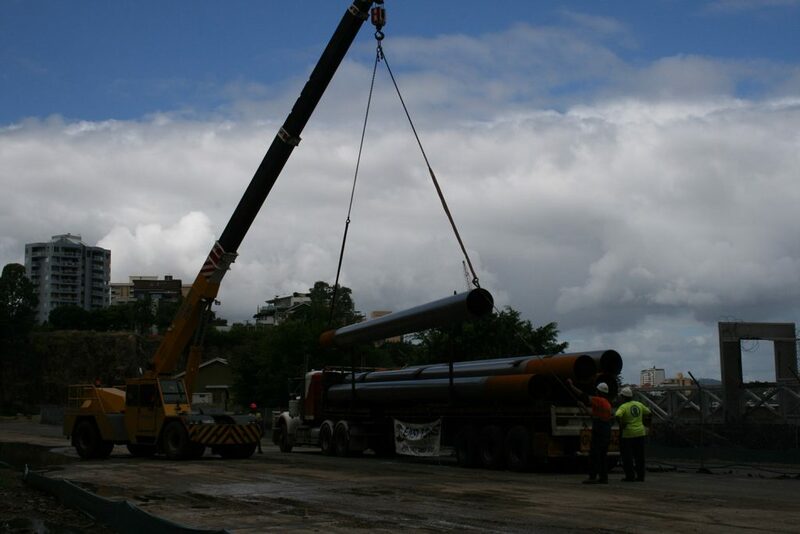 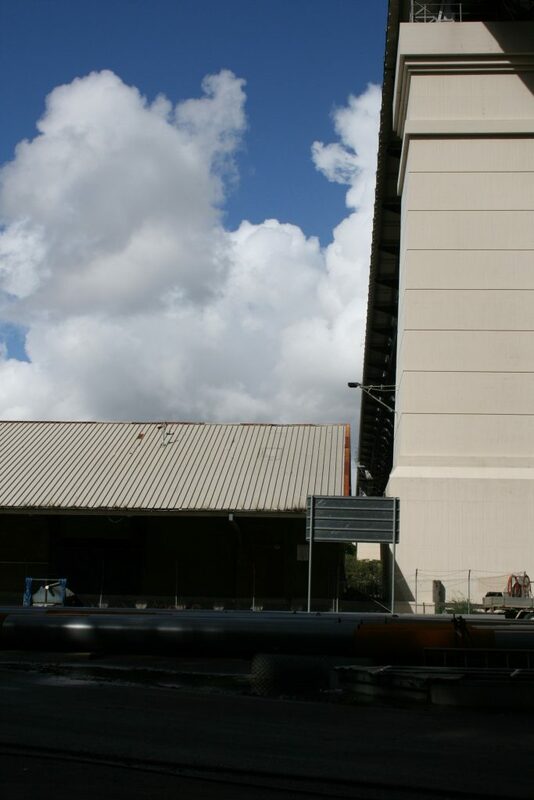 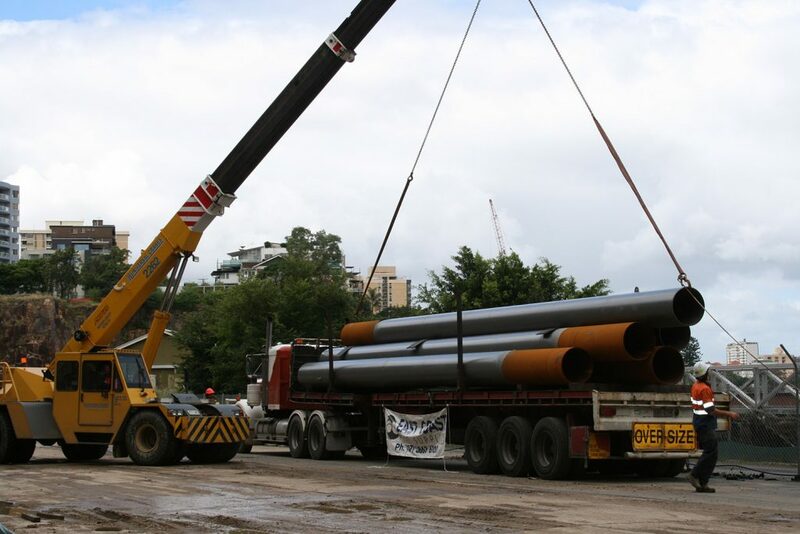 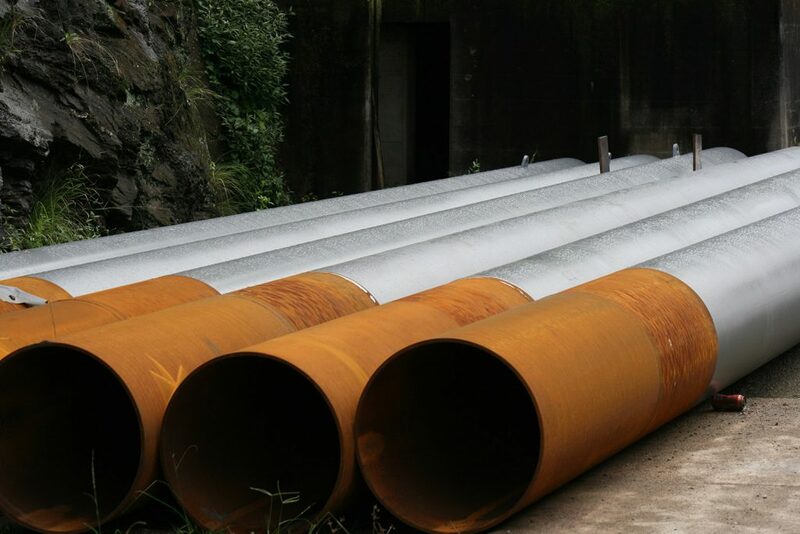 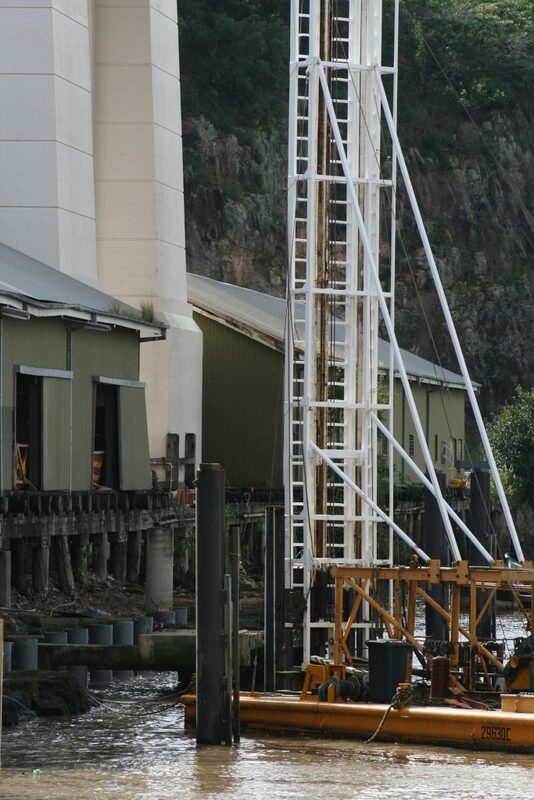 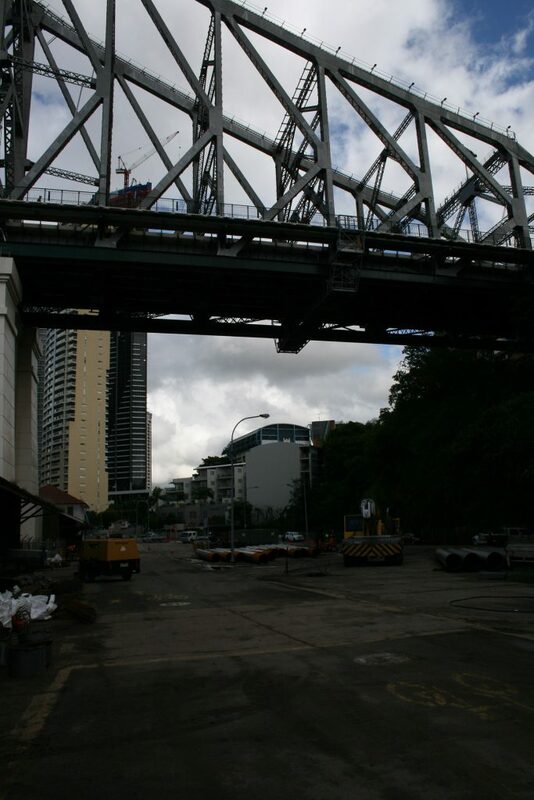 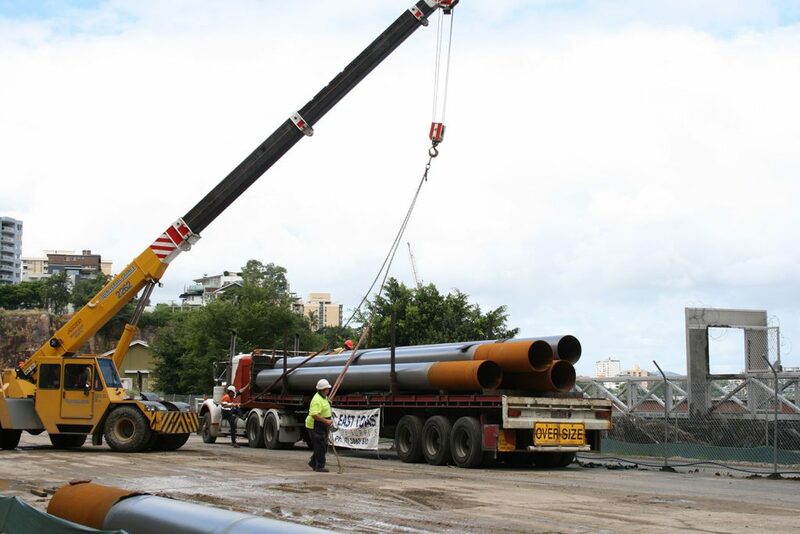 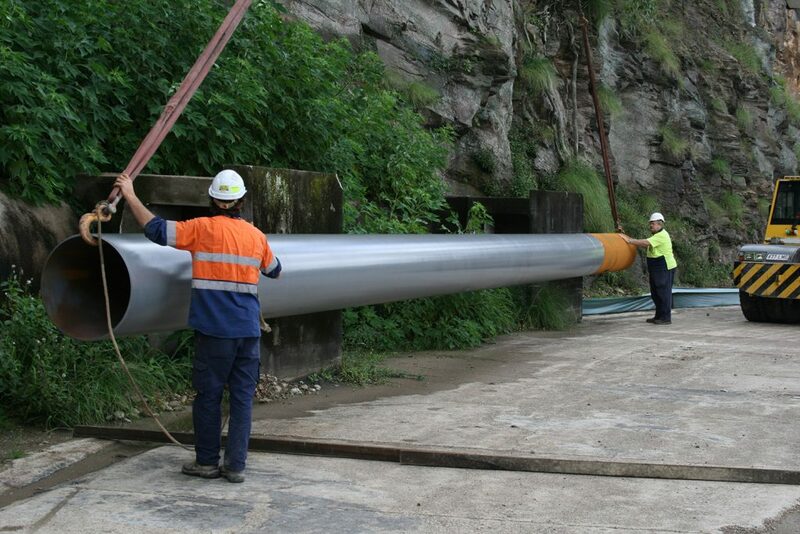 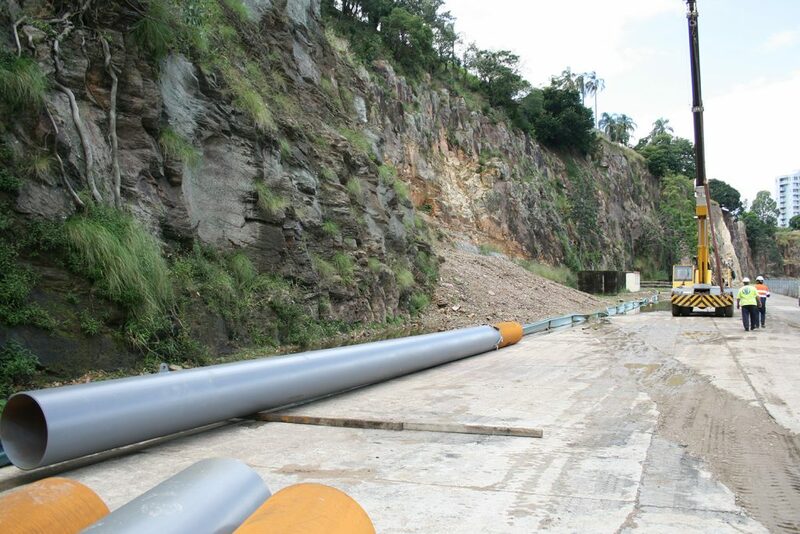 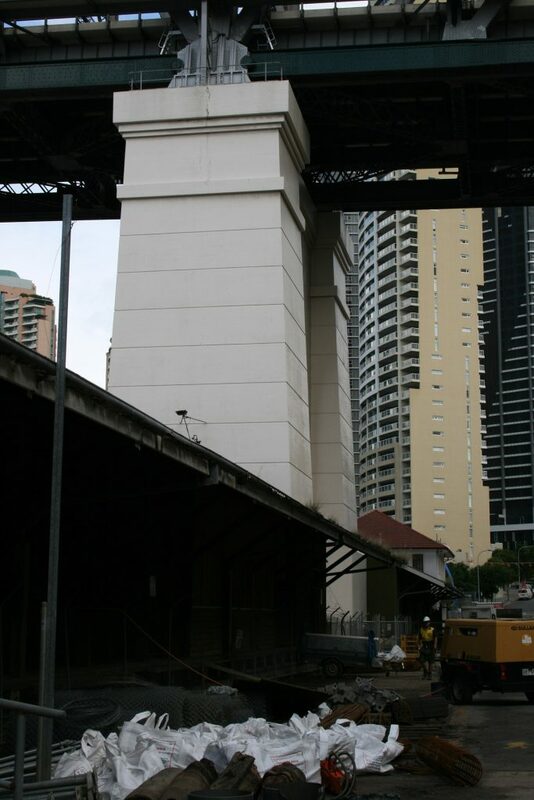 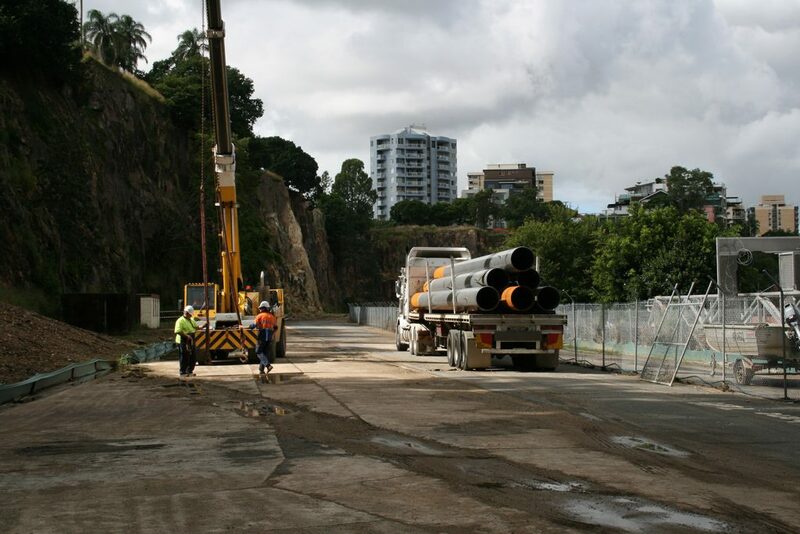 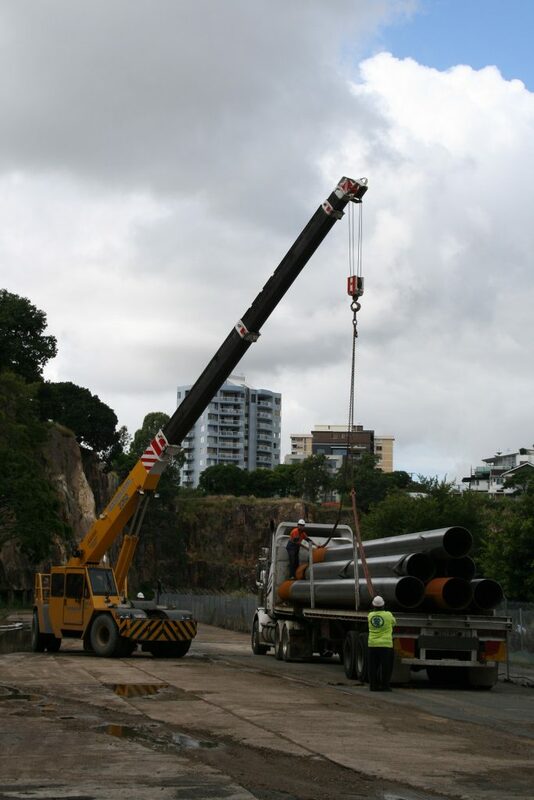 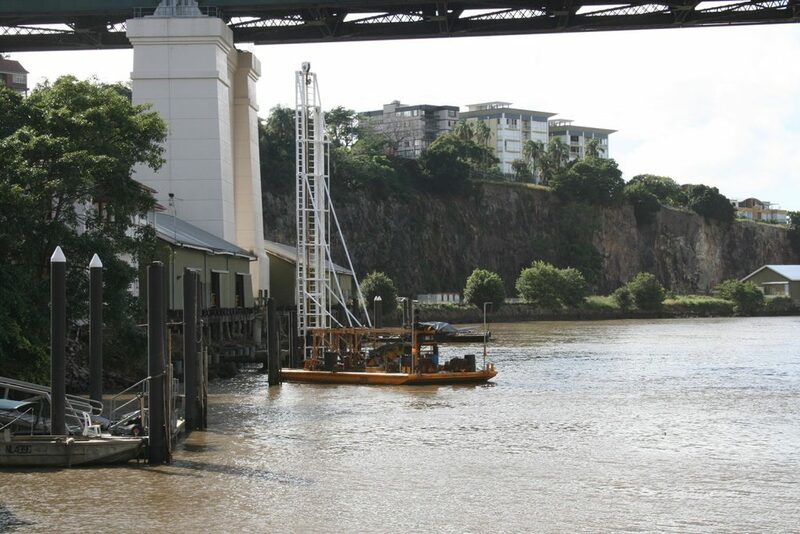 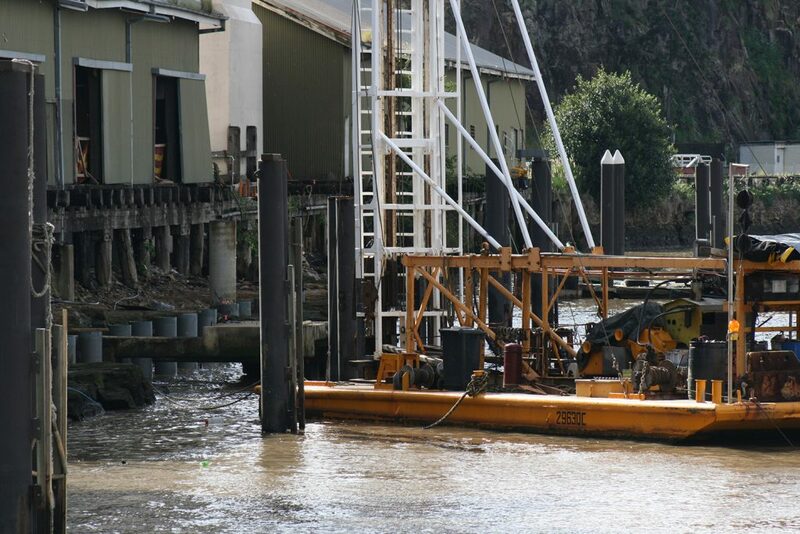 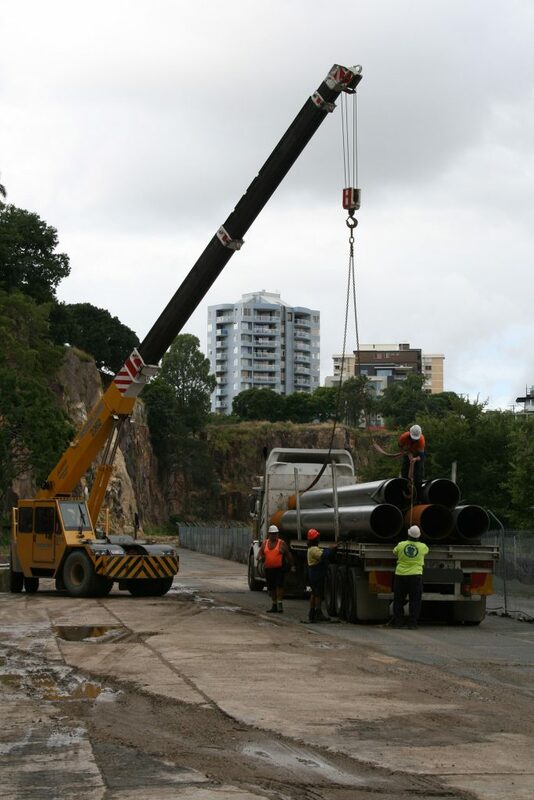 In early 2011 Surepipe supplied steel piles to replace the old and compromised timber piles on the Howard Smith Wharves. 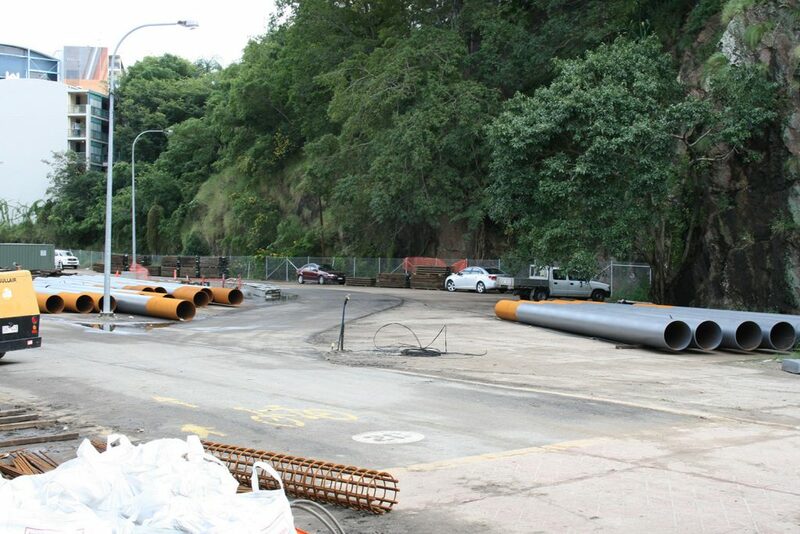 The replacement of the piles was the first step in a $17 million dollar plan to revalise the historic area. 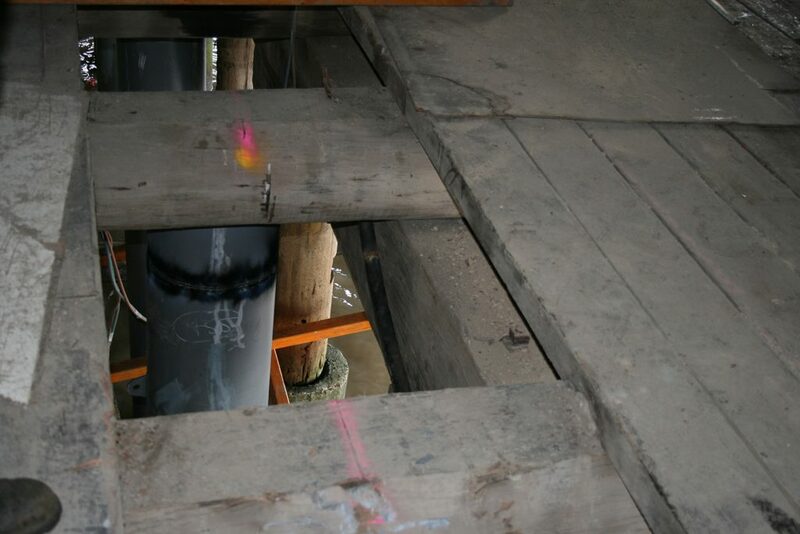 Surepipe supplied 610mm OD x 12.7mm wall thickness piles, spliced to the required length with driving shoes attached. 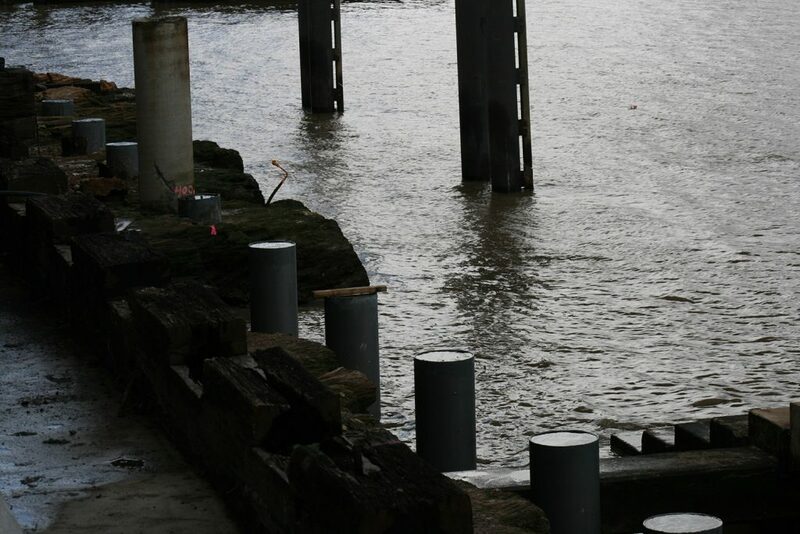 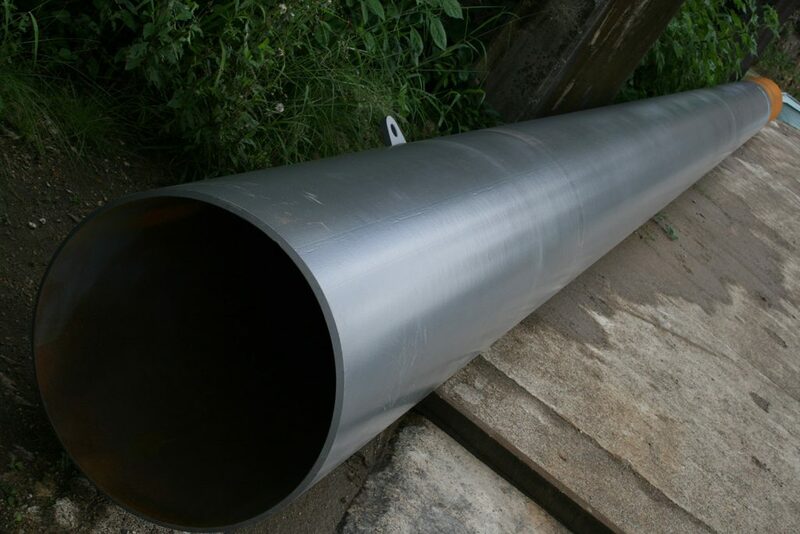 Protective coatings were required to give the replacement piles a long service life. 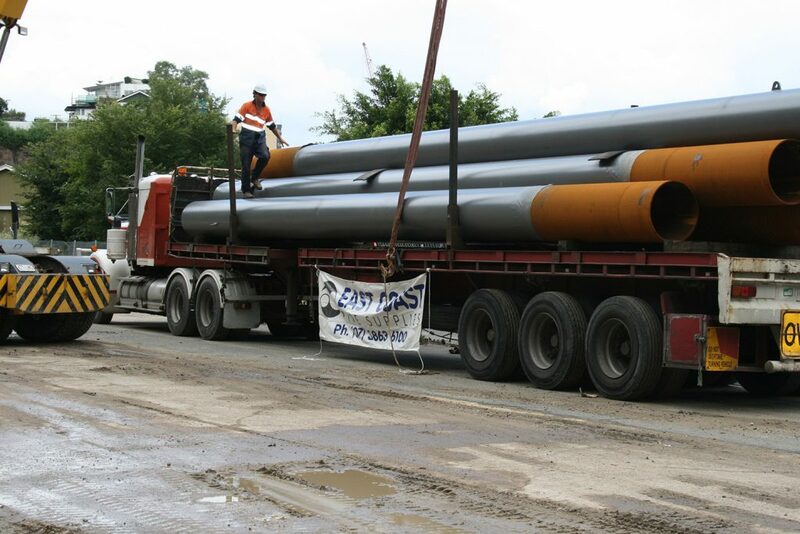 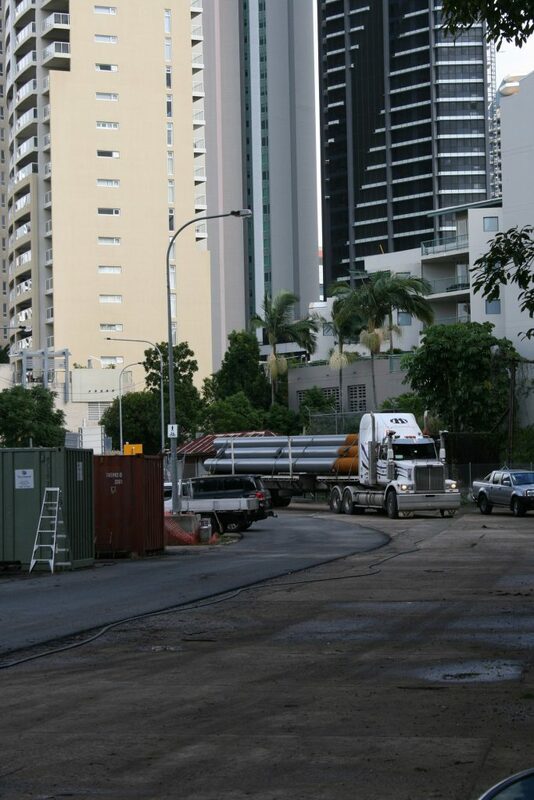 Because of the long pile length and tight site access, extendable trailers and traffic control measures where employed for the deliveries.